The human body works in a marvelous way. Whenever a body part is hurt, like being burnt or otherwise injured, the oxygen levels in the damaged tissue area increase, thus allowing better healing. The doctors treating such injuries need to know how high those oxygen levels are in turn to see if the healing is proper and thorough. 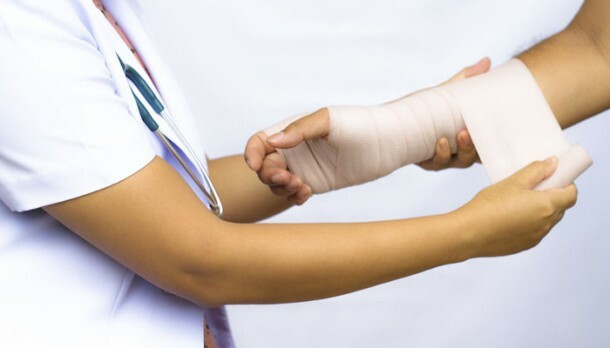 In order to provide them with such information without the hassle of removing the bandage, the international team of scientists has come up with glowing paint on bandage. The process of this bandaging begins with the application of a fluid containing phosphors and reference dye and is of high viscosity, directly onto the wound where it dries into a thin film in about a minute. A transparent “barrier” fluid is then painted over that film in such a way that when it dries up, it seals the wound, protecting it from the oxygen outside so that the only oxygen available to the wound is that coming from the body of the patient. 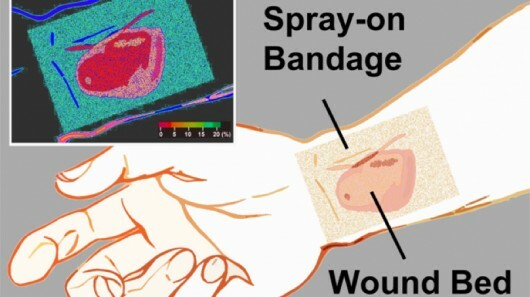 The doctors can then easily check the wound and its rate of healing by using a hand-held imaging device and emitting a flash of light to the area; the phosphors absorb that light and re-emit it. The longer and brighter the phosphors glow, the lesser is the oxygen level in the tissue. The fluorescence, which is not visible to the naked eye, can be easily detected using a smartphone or a basic camera. In addition to that, the film provides the patient with a red to green color map that shows the distribution of oxygen throughout the wound. The research is being led by Assistant Professor Conor L. Evans at the Wellman Center for Photomedicine of Massachusetts General Hospital and Harvard Medical School. Another one of these smart bandages is being developed by a team at University of Bath that changes colors according to bacterial infections. 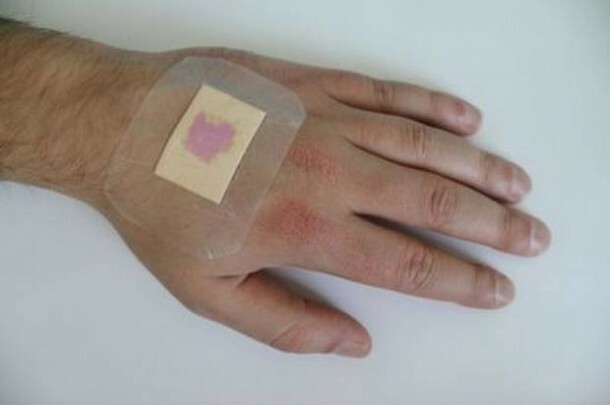 With some additional research, the bandage may be able to indicate things like pH, bacterial levels and disease markers, and it could also release medication into the wound site on demand. A recently published paper in the journal Biomedical Optics Express, featured the research.